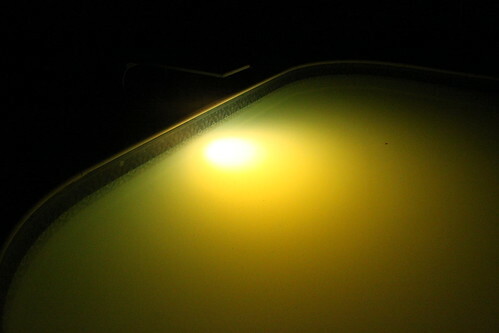 Two 180 oz jugs into the process and the pool is a nice shade of lime green/ baby poo yellow. We also got these scummy looking bubbles whenever we pour in a jug but they disappear in just a few minutes. Ordered my TF-100XL test kit from Dave and it's on a Fedex truck as we speak. I'm using my OTO Walmart test kit in the mean time but it won't help me much until Friday when the other test arrives. 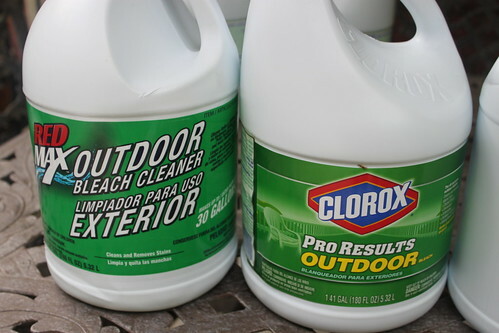 Here's my question for now-- my husband bought Clorox pro results outdoor bleach cleaner for our first day. 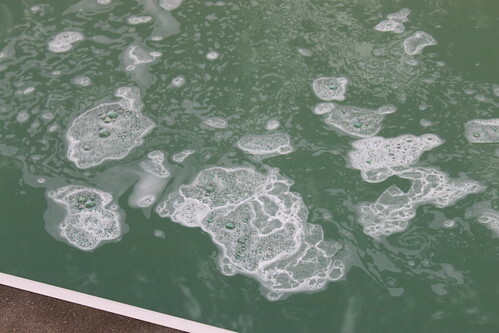 It does contain a thickening agent as well as surfactants. Will this hurt our progress? He bought 6 180 ounce jugs of the stuff. On the next trip to Walmart (and I'm sure there will be many) we will be sure to get the regular Great Value bleach with no extras. Should we just leave the filter running 24/7 during the conversion? Can we still use the Polaris to vacuum up debris during the conversion or should we remove him altogether through the whole process? 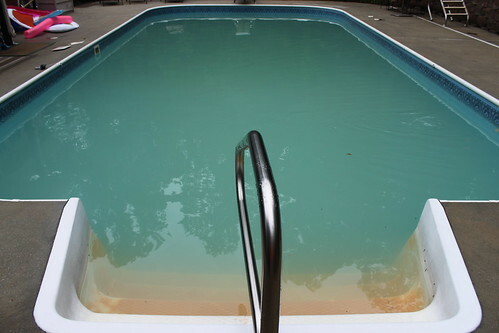 I would avoid the outdoor version of clorox. It doesn't list it's ingredients, has thickening agents, "protectant for metal surfaces" (whatever that is), and kind of implies that it has some detergent. You should leave the pump/filter running 24/7. 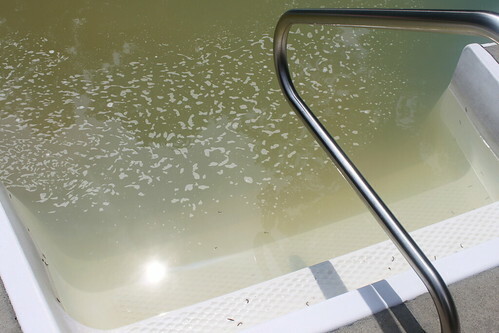 You should remove the pool cleaner until after you have added CYA (near the end). Here is a lovely night shot as of 10:00 pm tonight. It's like looking off the end of a pier at the river. Off to buy more bleach first thing in the morning! Thanks for the input Jason. I'm sure I'll have many more questions. And here is a pic after three more jugs of 180 oz bleach were added this morning. My steps look better after a good scrubbing last night. 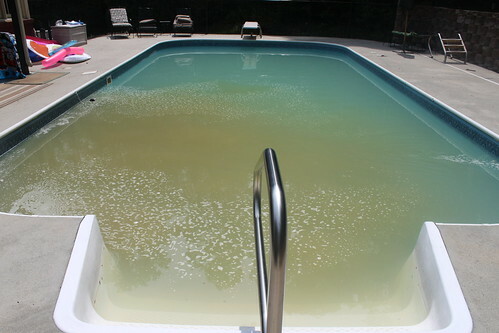 The pink algae is gone, but I think it just turned brown and drifted out into the middle. I'm off work from now until Tuesday so we plan to hit it hard over the weekend around the clock and try to keep it at shock level. I'm really looking forward to getting my test kit so I can have more accurate numbers. According to the pool calculator my pool needs 4.6 jugs to get from 0 to 15. For now should I just be adding about 4 gallons every few hours or so? What has been your experience to get the level raised up? Should I add baking soda to raise the alkalinity or just not worry about it for now? Since our PH level is ok but on the high side I don't want to add the baking soda and raise the PH up. Your TA is a little low, but not a problem for now. 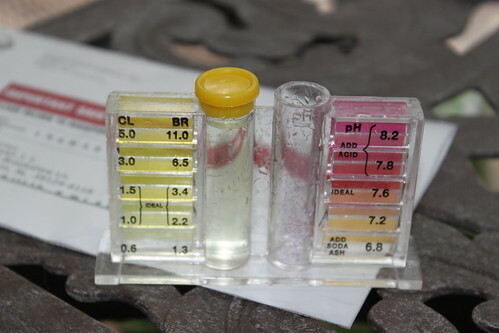 However, you should lower the PH to between 7.2 and 7.4. 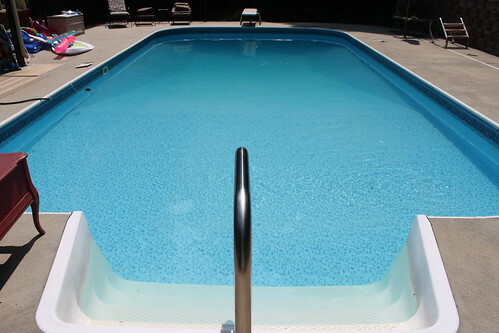 Adjust the PH when the FC level is zero, give it an hour to mix in and then test the PH again to be sure you are in that range, then go back to adding chlorine. Here's a true rookie question: Where can I get muriatic acid? 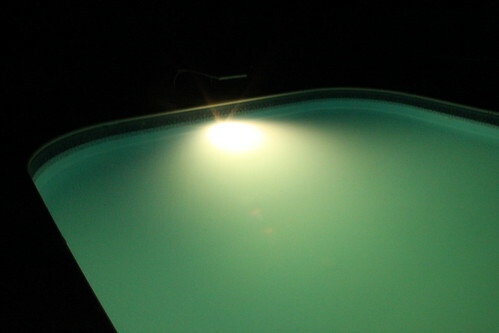 Is that a pool supply only thing or a Walmart thing? Here is a pic as of 4:30 this afternoon. It was the first time I've added chemicals and not seen any type of reaction (aka yellow plume of yuckiness) in the water. I take this as a sign of making progress. 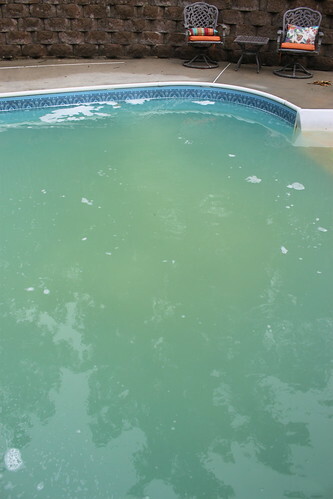 We've also lost a lot of the green and it's gone more to a milky blue color. It's a pool store thing and a hardware store thing (paint aisle or pool aisle). Walmart won't have it. Get the 31.45% stuff if you can cause you pay the same price per gallon for the weaker stuff. Just like the bleach, you want the plain stuff. Don't get the low fuming or "safe" stuff as they add stuff you don't want. Thanks Sven! That's the stuff that cleans concrete, right? I'll get my husband to head to Lowes or HD and see if he can find some tonight. Yes, muriatic acid is commonly used to clean concrete. You are making great progress. Nice pictorial, too. 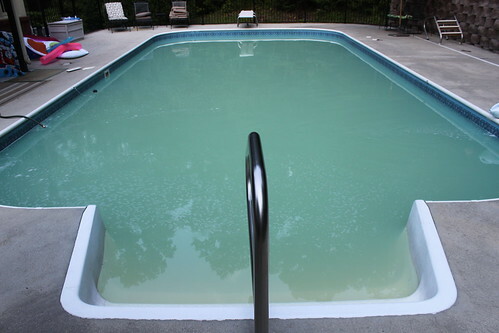 Here is the pool as of noon today. Look! 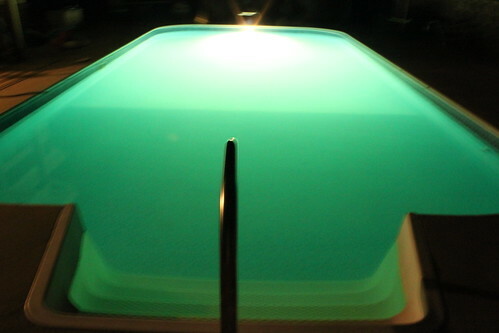 We can see the bottom again in the shallow end! This is great news! It's already looking SO much clearer. I'm gonna get the PH down to 7.2ish and then get my FC levels back up this evening and overnight. Any other advice at this point? When you can still see the black dot clearly, CYA is zero. If the black dot was getting hazy, call it a CYA of 10. 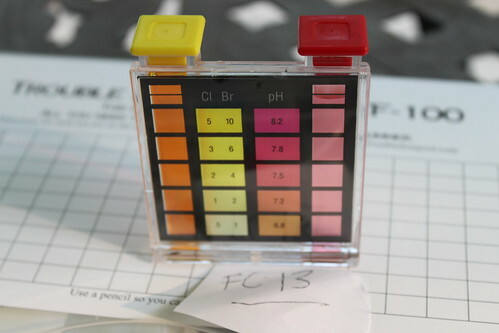 And just as a guideline here is what and FC of 13 looks like on an OTO test kit, in case anyone is starting out with just that kit like I did! Look how orange that is! Much better than 2 nights ago. 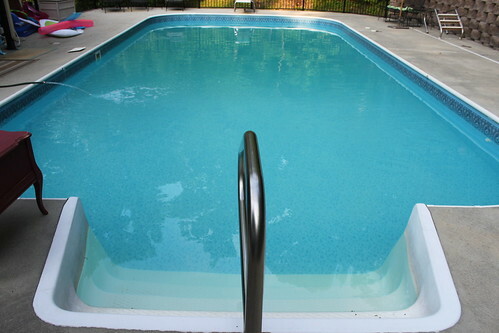 We can barely make out the pool drain now, which is something we've never seen from above water before. Checking FC levels every few hours tonight, and they seem to dip down to about 10-13 within a few hours after raising to 15. I just love watching these conversions! 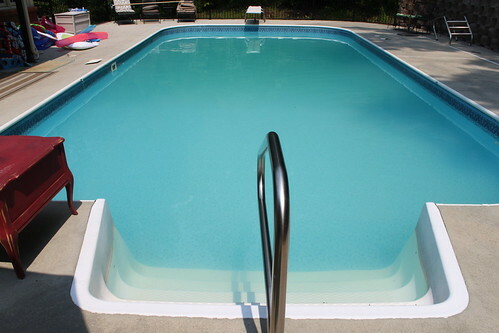 Folks, I believe we are very close to achieving clear pool status! I'm hoping to keep it stable all day today and see how it goes tonight!